As continuous improvements in our knowledge and new and evolving methods of treatment are developed, pet owners and their veterinarians have more options available when cancer is diagnosed. These notes are provided to help you understand the treatment options that may be considered for cancer in pet dogs or cats. The main concern in deciding upon a course of treatment should be what is best to maintain the quality of life of your pet. Sometimes, because of the type of cancer or its stage of progress, cure is unlikely. For these cases, treatment may help alleviate symptoms such as pain and greatly improve the quality of the pet's remaining life. This is called palliative treatment. We understand that this can be a very worrying time. If you do not understand something in these notes, or if you have any other questions, please do not hesitate to call your veterinarian. For general information on cancer in pets ask for our handout "What is Cancer". Your veterinarian may suggest certain tests to help confirm or eliminate the diagnosis, and to help assess treatment options and likely outcomes. Because individual situations and responses vary, and because cancers often behave unpredictably, science can only give us a guide. "The standard treatment for almost all cancers is surgical removal of the lump." The standard treatment for almost all cancers is surgical removal of the lump, sometimes with part of or the entire affected organ. Other treatments (special types of surgery, radiation treatment [radiotherapy], drug treatment [chemotherapy]) are not suitable for all cancers. Before selection of or advice on these alternative treatments, there must be an accurate diagnosis of the cancer type and its extent in the animal. Cancer treatments often have significant side effects and many are available only at specialist centers, or are still under development for use in animals. Your veterinarian will consider many factors in advising the most appropriate course of treatment for the particular case, or proposing alternative courses to you. "Wide margin of normal tissue surrounding the cancer must be removed to help prevent recurrence." 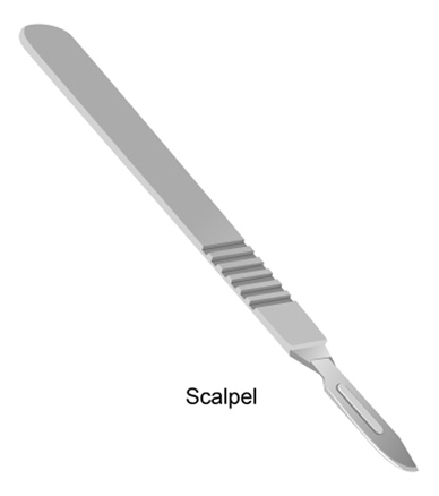 Small surgical procedures such as localized excision biopsy can be done under local anesthesia. However most veterinarians prefer to operate under general anesthesia, as a wide margin of normal tissue surrounding the cancer must be removed to help prevent recurrence. General anesthesia is a procedure with a very small risk in otherwise healthy animals but the risk is greater in animals that are sick or elderly. Benign (non-invasive, non-spreading) cancers in a well-defined area that is accessible are almost always permanently cured by surgical removal. Surgery is also the best treatment for the majority of malignant cancers that have not yet spread (metastasized). Your veterinarian may perform some of these removals, although complex procedures may require referral to a specialist. 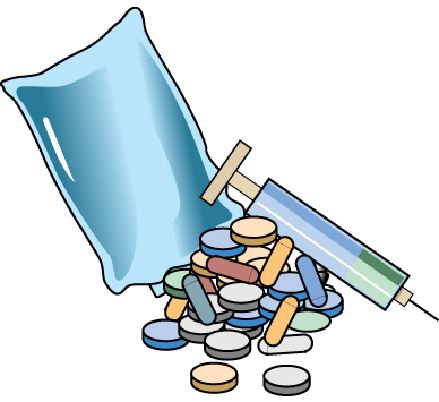 Recovery from most surgery is rapid and post-surgical pain is controllable using appropriate medications. The surgical use of freezing temperatures (cryosurgery) or electric currents (electrosurgery) can improve results for some cancers. Laser therapy (which stands for Light Amplification by Stimulated Emission of Radiation) using carbon dioxide lasers is an alternative to conventional surgery for some cancers. The operator can focus the narrow beam of light emitted by the laser on the cancer to vaporise it. The light also sterilizes the site and controls bleeding by sealing blood vessels. It is the best treatment for some superficial carcinomas. Laser technology is expensive and needs trained and expert operators, so is not available everywhere. This treatment is only available at specialist centers. It uses high-energy radiation (similar to x-rays but at a much higher energy level) that injures the DNA (genetic material) of cells. Cells that are undergoing frequent cell divisions (multiplying) are the most sensitive to radiation and this is why tumor cells tend to be more susceptible. Unfortunately, normal healthy cells can also be damaged or destroyed by the radiation, particularly actively dividing cells like those of the intestinal lining, bone marrow and immune system. "Radiation therapy will often be used in combination with surgery and chemotherapy." 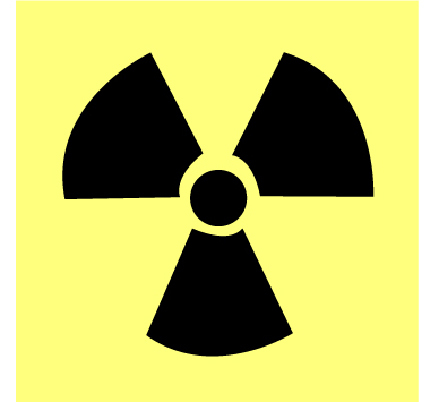 Radiation therapy will often be used in combination with surgery and chemotherapy. It may be used before surgery to shrink very large tumors, or after surgery to kill cancer cells that may have remained. Radiation therapy may be considered as palliative treatment when hope of cure is small but where improvement in quality of life by reducing symptoms such as pain, bleeding or loss of function can be achieved. The two main types of radiation treatment are external beam and interstitial brachytherapy. The former treats from the outside of the tumor. 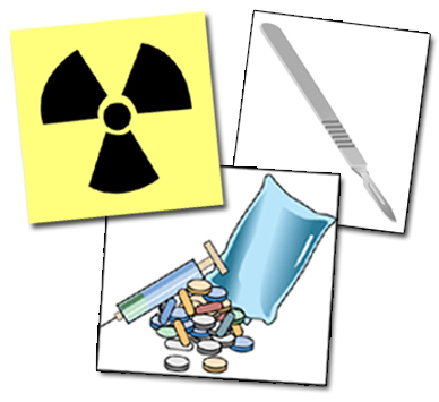 In the latter, a radioactive isotope is implanted inside the tumor or administered by injection. In both types, the radiation dose needs to be carefully planned. Tumor types that may respond well to radiotherapy, or where radiotherapy can improve quality of remaining life by reducing pain, include mast cell tumors, sarcomas (cancer of bone, muscle or various connective tissue), lymphosarcoma, and tumors of the mouth, nose, brain and thyroid. External beam radiation therapy is often performed over several treatments and can only be administered to animals under general anesthesia. "External beam radiation therapy is often performed over several treatments and can only be administered to animals under general anesthesia." Systemic chemotherapy involves the use of drugs that are given orally or by injection and then act throughout the body (systemic treatment). Chemotherapy involves the use of drugs that are designed to be selectively toxic (damaging) to cancer cells but they typically have some toxicity for healthy cells, particularly those that are frequently dividing like the precursor cells for the blood and immune systems, and cells of the gastrointestinal system. Anemia, reduced resistance to infection and gastrointestinal upset are therefore common side effects; your pet will require monitoring for these side effects, and if they develop, they will require treatment. Fortunately, there are continuous improvements in the drugs available for treating the side effects of chemotherapy. Chemotherapeutic cancer drugs have been developed primarily for human use and are not specifically licensed for animal applications. Veterinarians may use these drugs under their professional judgement and supervision. The aim of chemotherapy varies from complete remission and cure, or prolonging the period of remission to palliative therapy intended to minimize patient discomfort pain and suffering. "Most types of chemotherapeutic drugs target dividing cells." Most types of chemotherapeutic drugs target dividing cells. As small tumors grow most rapidly, they are most susceptible to therapy. Despite this, only small numbers of cells are dividing at any one time, so the treatment is not helpful in all cases. Higher dose of drugs may increase the toxic side effects to a greater extent than the increase in beneficial effects. By the act of killing off susceptible cancer cells, chemotherapy also selects for cancer cells that are resistant to treatment (drug resistance), so a drug may become less effective at each subsequent treatment. In general, the use of many drugs together (a drug cocktail) is less toxic and more likely to benefit the animal than use of a single drug. Contrary to the situation in human medicine, chemotherapy does not permanently cure most cancers in veterinary patients. In veterinary medicine, chemotherapy protocols have been designed not just to maximize the patients' lifespans, but more importantly to improve their quality of life. Veterinary protocols are designed to minimize side effects such as vomiting, diarrhea and lowered resistance to infection. These effects can be moderated or eliminated by use of appropriate medications and adjustment of the chemotherapy protocol. Inflammation-promoting substances called 'prostaglandins' are produced by some tumors. Treatment with non-steroidal anti-inflammatory drugs that reduce prostaglandin production can therefore give some clinical relief. This treatment has caused remission of some bladder tumors in dogs. It is widely available and relatively inexpensive. Patients have to be monitored for signs of gastrointestinal tract problems when receiving non-steroidal anti-inflammatory drugs for this type of therapy. A healthy animal's immune system is sometimes capable of recognizing cancer cells as abnormal and responding with special cells and factors that can destroy those cells. However, in cases where cancer has developed, this immune response is typically weak or absent. In some cases, cancer cells are able to reduce the ability of the immune system to respond (immunosuppression). Therefore, stimulating or enhancing the immune system may be helpful in some cases. Immunotherapy is the use of the immune system to kill cancer cells. "The same drug can be either suppressive or enhancing, depending on the dosage." Various drugs (collectively referred to as 'immunomodulators') can affect the immune system, either suppressing or enhancing its responses. Sometimes the same drug can be either suppressive or enhancing, depending on the dosage. Although some of these drugs show some promise in cancer treatment, both in topical and internal (systemic) use in people, there is generally little information on their use in dogs and cats. Many of the current cancer researchers are investigating ways of stimulating the immune system to recognize the cancer cells specifically and selectively, for example by a vaccine approach (See also 'Gene Therapy' below). Are there any promising future prospects for cancer treatment? Gene therapy is the introduction of part of the reproductive code (gene) into a cell to reduce the adverse effects of a disease process. Target diseases for gene therapy include infections and chronic inflammatory diseases as well as cancer. A vector, which may be a virus, a vaccine, or a molecule such as a liposome (used to encapsulate and protect the gene until it reaches the target tissue), is required to deliver the gene to the target tissue. Different vectors target different tissues or diseases. When used for cancer treatment, the aim is to introduce a gene that will be expressed more by the cancer than other cells. Mechanisms include "suicide genes" to make the tumor commit suicide or kill itself, genes that will activate drugs and kill tumor cells specifically and genes that will change the immune system reaction to the tumor. In animals, this type of therapy is still at the experimental stage. Photodynamic therapy uses a photosensitizing drug that enters the tumor. The drug within the tumor is activated by a specific wavelength of light to generate intracellular oxygen and lead to death of cells and/or loss of blood supply. This type of treatment is useful for superficial and bladder tumors, but is not yet widely available. Cancers stimulate new blood vessels to grow. Angiogenesis modulators (or antiangiogenics) are various drugs that reduce this new blood supply and "starve" the cancer. They are not widely available, but have recently been introduced into human cancer treatment. Some non-steroidal anti-inflammatory drugs (see 'Anti-inflammatory drugs' above) are thought to have this anti-angiogenic effect. What is available for symptomatic and palliative treatment? Many of the above treatments, and others, may be used to palliate (relieve) the effects of the cancer and improve quality of life. In all cases, the potential side effects of treatment have to be balanced against the patient's life expectancy and the potential improvement that may be achieved. "In all cases, the potential side effects of treatment have to be balanced against the patient's life expectancy." 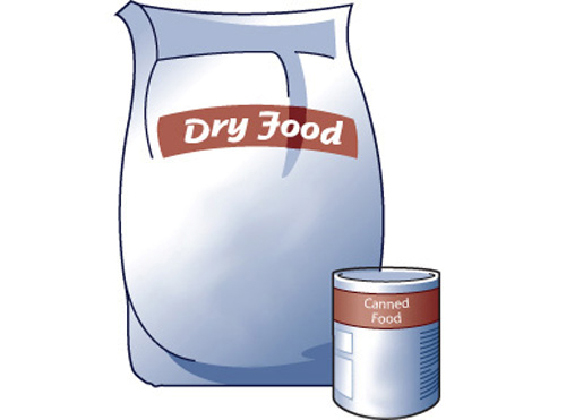 Special diets are reported to delay cancer progression and some (such as those designed for cancer patients or to improve liver function in general) may palliate the clinical effects of cancer or the side effects of drug or other treatment. Pain relievers and inflammation reducing drugs may improve the quality of life for your pet. Other modalities and techniques such as acupuncture have their advocates, and may offer relief. Before making the decision on the appropriate course of action for you and your pet, you should discuss all of the relevant factors with your veterinarian so that you can make an informed choice. Our understanding of cancer, not only in humans but also in dogs and cats, is increasing all the time. Survival rates are improving and many animals are alive and well as "cancer survivors".